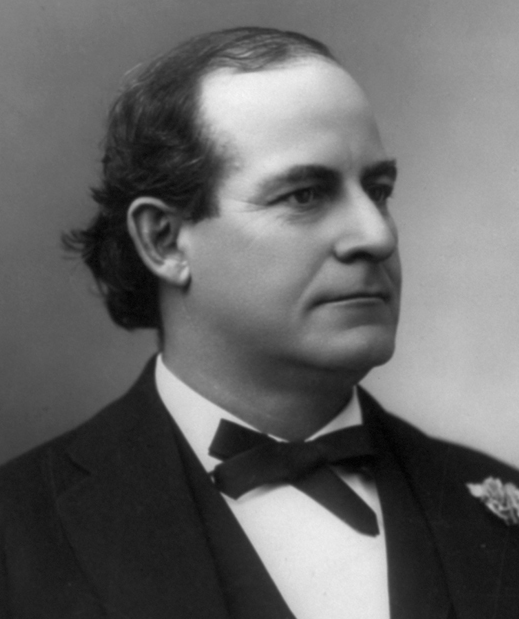 Nebraska’s Bryan was thrice defeated for the presidency (1896, 1900, 1908), but was renowned as an electrifying orator who championed such Populist causes as the popular election of senators, the introduction of a graduated income tax, the creation of a Department of Labor, the institution of Prohibition, and the passage of woman suffrage. A great campaigner, he was perceived as a man of the people, especially in rural America, but was also feared by some as a demagogue. A religious man, he volunteered to assist the prosecution in the 1925 trial of schoolteacher John T. Scopes for having violated Tennessee law by teaching the theory of evolution. Although Scopes was convicted, Bryan was intellectually shredded by defense counsel Clarence Darrow, fell ill shortly after the trial, and died.